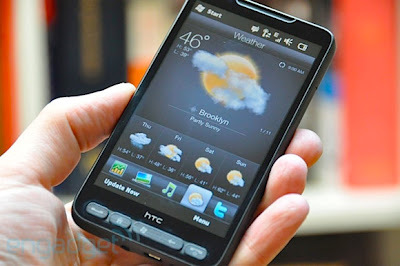 From a pure specification standpoint, it's hard to knock HTC's HD2. Scratch that -- it's impossible to knock the HD2. A 1GHz Snapdragon CPU is just the tip of the iceberg, with the icing on the cake being the 800 x 480 resolution display, 5 megapixel camera, GPS and a downright stunning overall design. Unfortunately, phones are made or broken by the software that's loaded on, and Windows Mobile 6.5 isn't exactly the most nimble mobile OS on the market right now. That said, we're confident that more than a few of you have unloaded your savings accounts in order to posses one of the sexiest cellular telephones this world has ever seen, and now that the deed is done, we're eager to hear your opinions on how the phone really stacks up. Are you happy with the performance? Did you expect it to be snappier given the monstrous CPU? Would you have held out for WinMo 7 if Sir Patience would've allowed you? No need to go easy on anything -- tell it like it is in comments below.